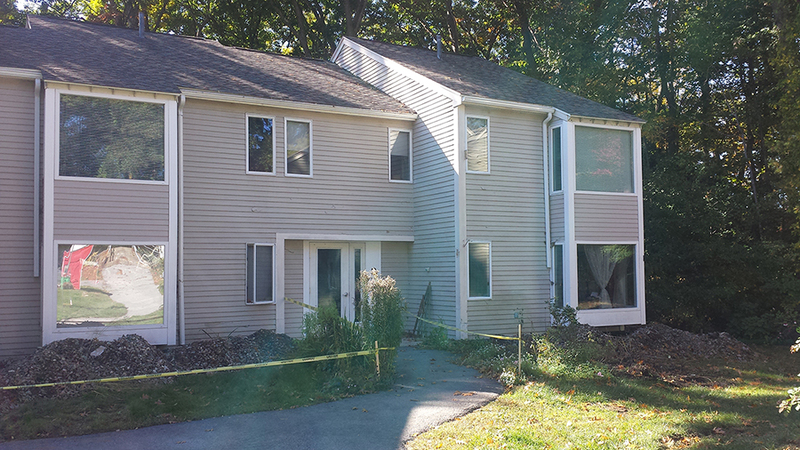 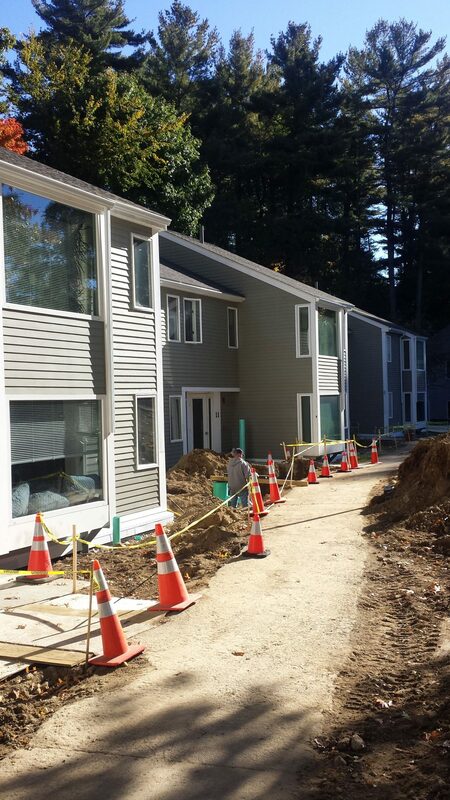 Topsfield Housing Authority - Hereva Consultants Inc. 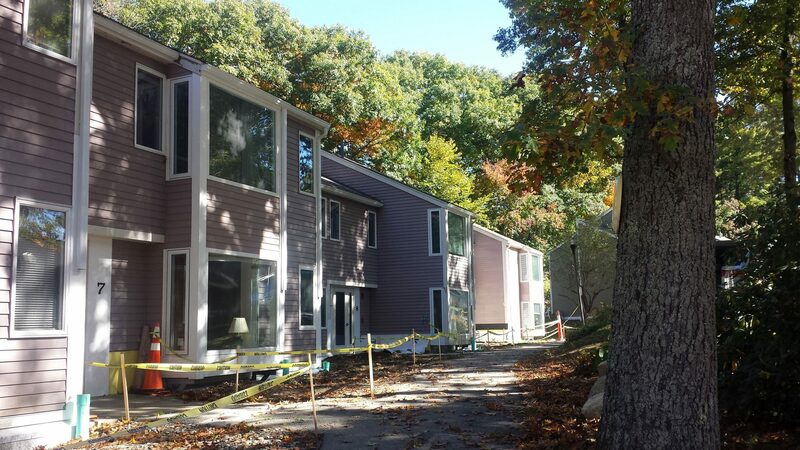 Originally built in 1969, Little Brook Village on Washington Road in Topsfield was an award-winning design for modern retirement/low income living. 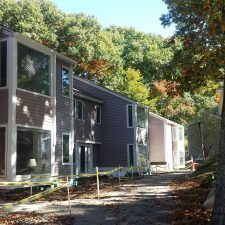 Built into a scenic wooded landscape in the small town of Topsfield, Little Brook Village offered small townhome style apartments for seniors and access to a community center with several amenities. 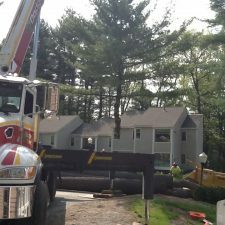 In addition to the feeling of independence these smaller houses offered, the setting allowed for enjoyment of the outdoors, including patios and areas for gardens, that other facilities often lack. 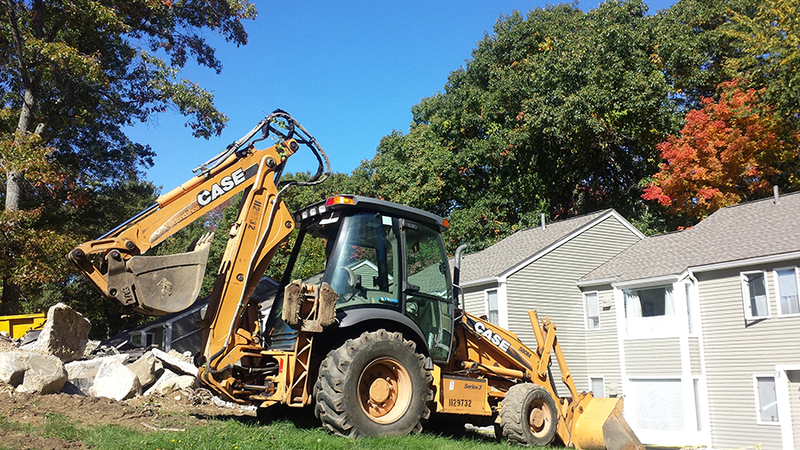 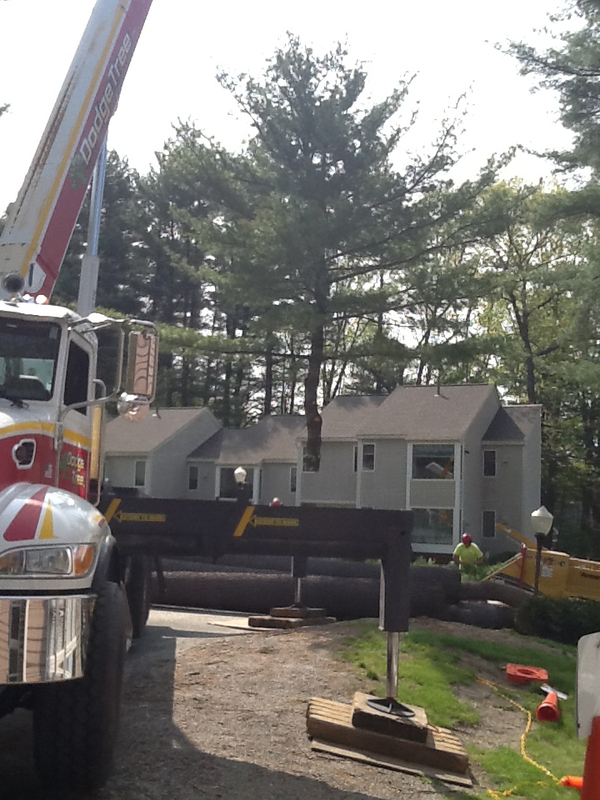 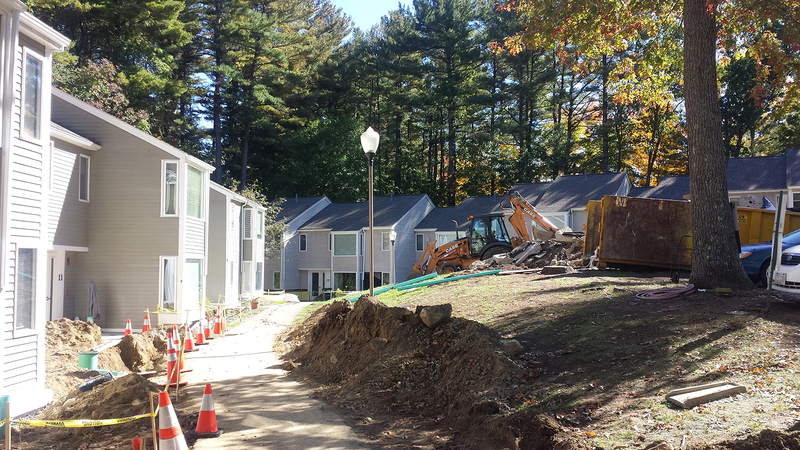 The Topsfield Housing Authority and DHCD hired Aamodt Plumb Architects to develop a plan for managing drainage and water issues that had plagued the sites for many years. 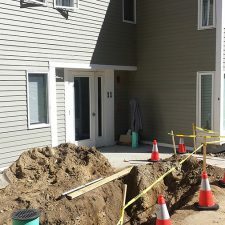 Originally, the project scope required shoring up each of the 5 housing units, re-building the foundation and framing, and minimal repairs to the units as required. 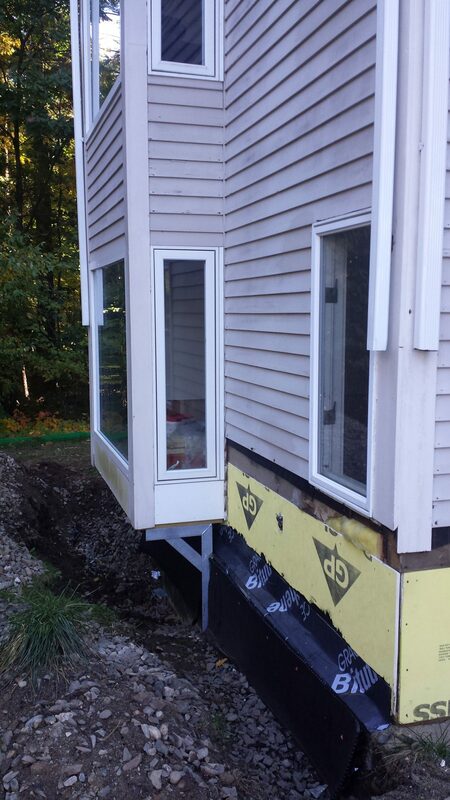 However, during demo of the first unit, severe foundation issues were discovered. 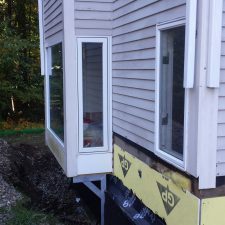 The project scope increased to include foundation repair and waterproofing, as well as window and door replacement, interior renovations and building out of an ADA unit. 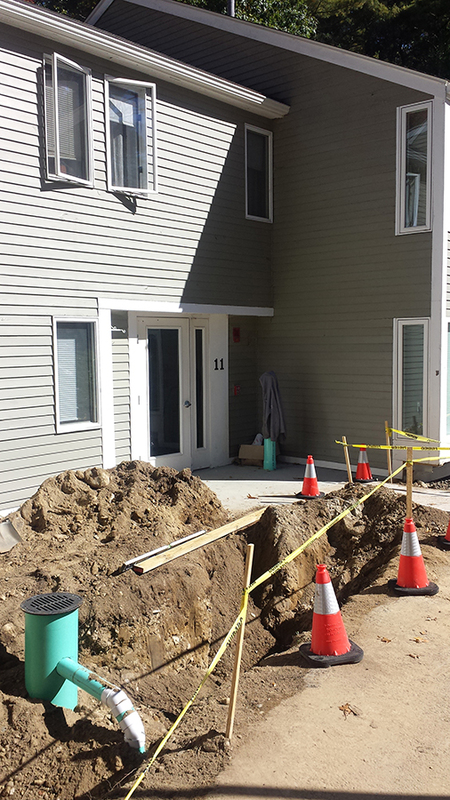 In addition to the drainage work, site work included building a new accessible ramp system and regrading and paving nearly all of the many sidewalks. 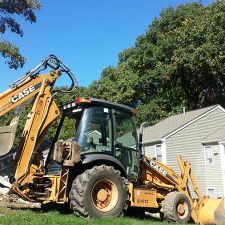 Acting as Clerk of the Works, Hereva provided valuable tracking of project scope, contractor manpower and requisition auditing, and the many additional T&M items that were approved. 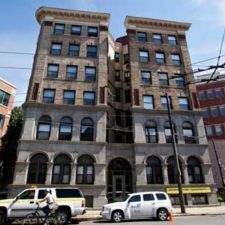 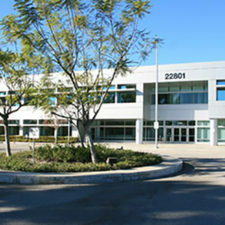 Hereva also provided Project Management services, running weekly meetings, facilitating design review and communication with the Tenant Organization and managing the scheduling and phasing of the site work. 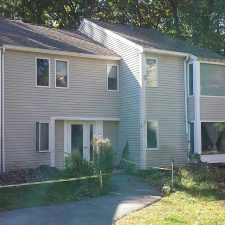 The Topsfield Housing Authority is a town department managed by an Executive Director and overseen by an elected board, the Housing Authority. 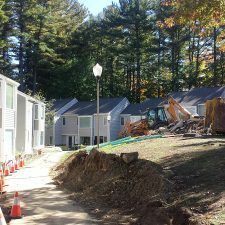 The Topsfield Housing Authority administers Little Brook Village, the housing complex at 69 Washington Street, Topsfield, MA. 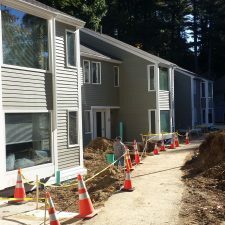 Little Brook Village includes 55 apartments for the elderly/disabled and 5 specifically modified units for people with physical handicaps.